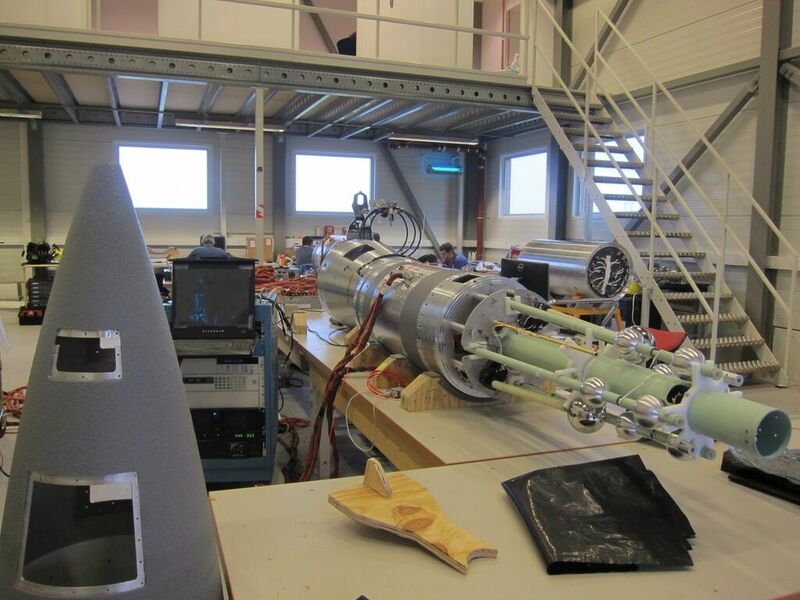 Researchers from the University of Washington are awaiting the launch an over 50-foot-long rocket from a launch site in Norway into the upper reaches of the atmosphere to observe and measure a puzzling phenomenon. This scientific mission, led and funded by the U.S. Naval Research Laboratory, will simultaneously create and observe “dusty plasmas” in Earth’s outer atmosphere. These hot, charged clouds of ions, electrons and dust form and dissipate naturally when swift-moving objects move through the atmosphere — from a satellite launching into orbit to a meteorite burning up in the atmosphere. Dusty plasmas are thought to be a common source of interference for radar and radio communications. “From a practical standpoint, normal atmospheric dynamics can get completely disrupted for a period of time,” said UW professor of Earth and space sciences Robert Holzworth, who is working on this project along with his departmental colleague professor Michael McCarthy. Dusty plasmas are complex, transient mixtures of gas and dust that have been difficult to observe and characterize when they arise naturally. 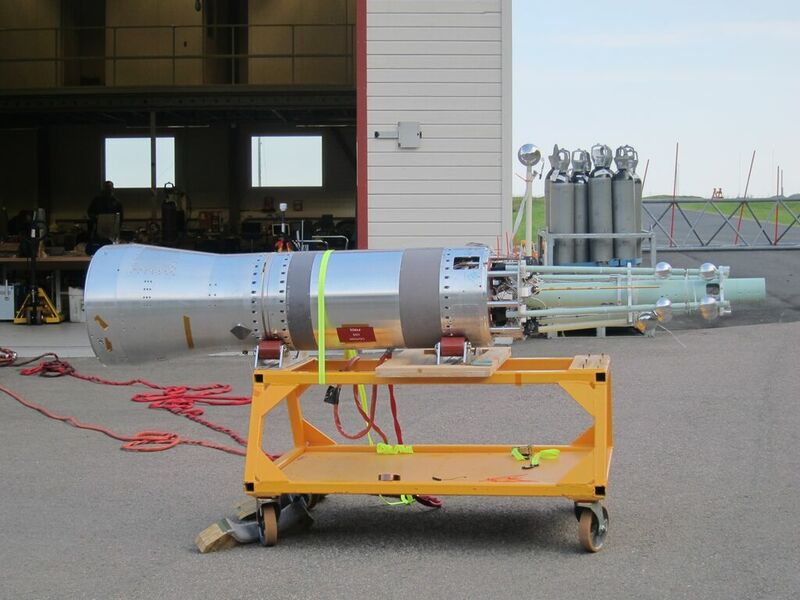 The mission of the Charged Aerosol Release Experiment II — or CAREII — is to use rocket engines to generate a dusty plasma and simultaneously measure its characteristics using sensors on the rocket itself. UW researchers designed and constructed instruments in the rocket that will measure the dusty plasma’s electrical field. Collaborators with NASA provided launch and support services, while scientists at the Naval Research Laboratory’s Plasma Physics Division, under the project lead investigator Paul Bernhardt, provided additional instruments and the CRV7 rockets that will create the dusty plasma. The U.S. Department of Defense Space Test Program provided payload integration and launch services. Plasmas are gases in a superheated and charged state. Scientists can predict the behavior of plasmas with a known composition based on the types of gases and other particles present. But dusty plasmas are too intricate to predict using current theories of plasma physics, said Holzworth. The CAREII mission follows up on the success of the original CARE experiment in 2009, which used a rocket launched from NASA’s Wallops Flight Facility to create a dusty plasma in the skies above Virginia, which scientists observed using ground-based equipment. The CAREII rocket will launch from the Andøya Space Center, a rocket launch facility above the Arctic Circle near Andenes, Norway. The CAREII mission has a two-week window starting on Sept. 7 to launch the rocket. The team will wait for ideal visibility and atmospheric conditions to send the rocket up into the atmosphere, McCarthy said. After it ascends over 160 miles into the atmosphere, the rocket will begin to fall back to Earth. At about 145 miles above the Norwegian Sea, the forward section of the rocket — which contains most of the scientific instruments — will detach and aim its instruments toward the aft section. The aft section will then simultaneously fire 37 small CRV7 rocket engines, designed by Bristol Aerospace in Canada, creating a dusty plasma of known gas, ion and dust composition that will envelop the forward section of the rocket. Probes and sensors in the forward section — including the UW’s electric field instruments — will soak up information about the dusty plasma. Radar and lidar stations on the ground and a nearby plane packed with cameras and sensors will also track and measure the artificial plasma. “From start to finish, it will take 10 minutes,” McCarthy said. The electric field instruments that Holzworth and McCarthy designed reside on four mechanical arms — or booms — that will be deployed outward from the rocket once the forward and aft sections separate. The booms keep the eight electric field sensors 6 to 10 feet apart so they can gather accurate information about electric fields within the dusty plasma. Holzworth and McCarthy hope that this project will give them a glimpse at how complex plasmas truly behave. The data they and their colleagues collect could illuminate how dusty plasmas in the atmosphere disrupt radio-based communications and tracking systems. But on a more fundamental level, CAREII could reveal basic characteristics about a common phenomenon. Holzworth and McCarthy have already started thinking of the types of sensors and equipment they would like on a future dusty plasma mission, should there be funding to get a CAREIII endeavor off the ground. Funding for the CAREII project comes from the U.S. Naval Research Laboratory and the Department of Defense Space Test Program. For more information, contact Holzworth at 206-685-7410 or bobholz@uw.edu or McCarthy, who is currently in Norway for the launch, at mccarthy@u.washington.edu. Update: the CAREII rocket was launched successfully on Sept. 16, according to the U.S. Naval Research Laboratory.